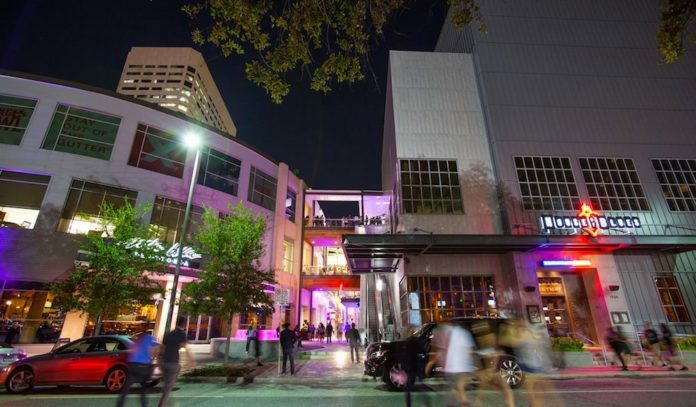 Downtown Houston’s GreenStreet development is chock full of restaurants, shopping and entertainment experiences. With the bonus of being within walking distance to the beautiful Discovery Green and Avenida Houston, the district is a choice spot for a stroll. Events at GreenStreet – Look out for a lineup of events, including live music on The Lawn every Thursday and Friday night. House of Blues – Catch top artists and up-and-coming talent at this soulful live music venue. Lucky Strike – This modern bowling alley offers 14 premium lanes, a full bar and food menu, projection and flat screens, and more fun including darts, shuffleboard, billiards, and ping pong. Pete’s Dueling Piano Bar – The revelry goes well into the night at this lively dueling piano bar. Spa by Alessandra – Schedule an appointment to pamper and escape at this intimate, modern luxury spa, located in Hotel Alessandra. Sugar & Cloth Color Wall – Created by local blogger Ashley Rose of Sugar & Cloth, the Instagram-worthy The Sugar & Cloth Color Wall is located on the Main St. block of GreenStreet. Snap a shot in front of the bright color wall and staircase, which will be open through October 2018. Discovery Green and Avenida Houston – With movie nights, pop-up markets, live music stages, playgrounds art, and 12-acres nestled among Live Oaks, the nearby Discovery Green is a worthy destination. 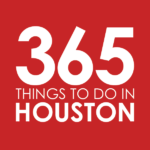 The area also rocks the refreshed entertainment district, Avenida Houston and the George R. Brown Convention Center. Houston Police Museum – In the first-floor lobby of the Houston Police Department headquarters at 1200 Travis, you’ll find this museum housing unique displays and a memorial wall. Du Vin Pintor – Located just a block from the Toyota Center, this eclectic space mixes original art with boutique wines. Look out for live music, educational classes, art exhibitions, and wine tastings. III Forks – Dine on Chilean seabass and Oscar-style filet mignon at this upscale steakhouse. Andalucia Tapas Restaurant & Bar – Nosh on traditional tapas and enjoy live music, belly dancing, and flamenco at this sultry spot. Bardot Bar – Hotel Alessandra’s chic bar offers classic craft cocktails alongside bites like lobster dogs, foie gras burgers, and salmon tartare. Caffé Bene – This Korean coffee shop offers a European-style café experience, with sweets, coffees and more. Guadalajara del Centro – Sip margs at happy hour, or stop by for lunch and dinner to dig into Tex-Mex classics like fajitas, nachos, and enchiladas. Lucienne – Set in Hotel Alessandra, this sophisticated restaurant serves continental European fare for breakfast, lunch, brunch, and dinner. Dine on Gulf shrimp tartare, duck with huckleberry sauce, PB&J crepes, and foie gras bacon burgers with grass-fed beef. McCormick & Schmick’s – This seafood and steak chain offers cedar-roasted salmon, Bigeye Ahi tuna, lump crab-stuffed shrimp, and dry-rubbed Black Angus steak, plus a great happy hour with bar bites starting at $3. Mia Bella Trattoria – Get classic Italian fare, from handmade pasta and lamb osso bucco to pizzas and ricotta pancakes at weekend brunch. Salata – Build your own salads at this fresh, fast-casual spot. Bayou & Bottle – With a Topgolf Swing Suite and a focus on bourbon and whiskeys, this handsome Four Seasons bar is a Downtown destination. Bombay Pizza – Get sag paneer pizza, tandoori chicken rolls and classic lasagna at this Indian-Italian pizza joint, just a few blocks away on Main. The Grove – Nearby in Discovery Green, this striking 10,000-square-foot restaurant has its own rooftop herb and tomato garden. Enjoy Sunday brunch on the green; linger over cheese plates, Gulf shrimp and grits, and chile-braised short rib at lunch and dinner; and be sure to check out happy hour at the bar and patio. Massa’s South Coast Grill – Located at The Shops at Houston Center, Massa’s offers Southern classics from crab bisque and bacon-wrapped quail to pecan-crusted rainbow trout. Morton’s The Steakhouse – Get Ahi tuna towers, Prime porterhouse, and lobster mac’ and cheese at this upscale chain. Pappas Bros Steakhouse – Head to McKinney and you’ll find one of the city’s finest steakhouse experiences, complete with dry-aged ribeye, excellent bar selections, and stellar service. Pappasito’s Cantina – This local favorite dishes up its famous fajitas and tableside guac’ at Avenida Houston. Quattro – Located in the Four Seasons Hotel just a few blocks from GreenStreet, Quattro rocks elegant Italian fare with bold flavors. Brunch fans will want to check out its elaborate buffet on Sundays. Reserve 101 – One of Houston’s best whiskey bars is only a few blocks from Discovery Green. Sip boozy cocktails, drink straight pours, and look out for fun tastings at this bar from Mike Raymond. Tejas Grill & Sports Bar – On the corner of San Jacinto and Lamar, this sports bar offers Tex-Mex, burgers, and plenty of booze. Make Her Boutique – This GreenStreet boutique is a collaborative pop-up, featuring the works of Brenda Grands, Onata Andujar, Watina Lee, and Ellyse Espinoza, jewelry from Brenda Grands, scents from Onata Fragrances, and trendy Texas-inspired clothing from State Line Designs and Unlikely Boutique. Forever XXI – Shop for trendy fashions at this American retail powerhouse. Launch HTX – This Space City pop-up store hosts emerging designers from the hottest local designers and artisans. The lineup of vendors is carefully selected to represent the diverse communities that make up Houston’s vibrant cultural landscape. The Shops at Houston Center – This nearby shopping center houses boutiques, galleries, retail shops and more.